75 years: not yet, but soon. I'm finding it a little hard to get hold of the idea that next year I'll be 75 years old. 51 years: in September Janet and I celebrated our 51st wedding anniversary. Unlike last year, number 50, this was no big deal. We exchanged cards, enjoyed a dinner at The Grand restaurant (50% off the entire bill for locals), met a couple from Ohio who were celebrating their first anniversary, first day that is, not first year. They bought us each a dessert, we chatted for a while, and they're coming here today for drinks and lunch on the deck. 14+ Years: since we arrived in Key West the first time. 12 Years: that we've actually lived in Key West, since we left for two years between 2002 and 2004. 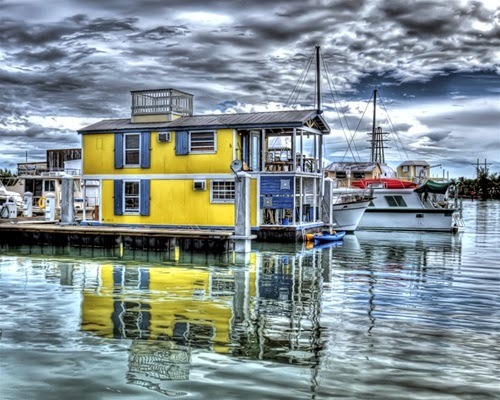 2 years: since we bought the first home we've ever owned here in Key West, our houseboat, the Betty Sue.